Ali Baba for LaCriée: Illustration, 40 thieves, needle and son. 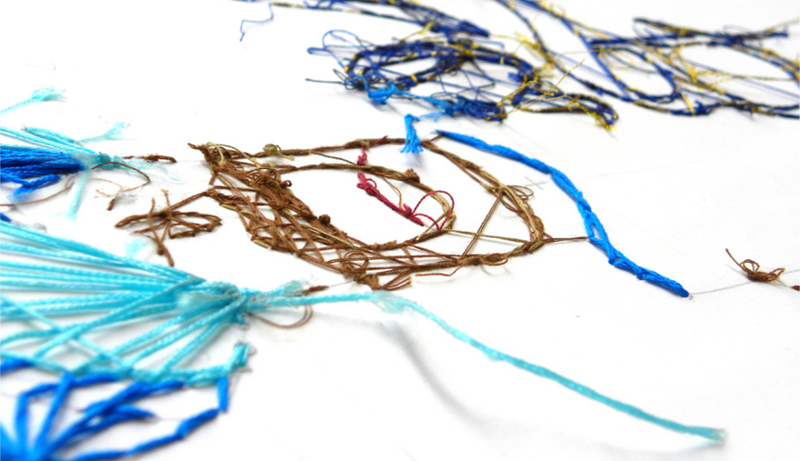 Imagine: A panel, nails, 3 balls of wool, patience, fingers and a little of imagination .. 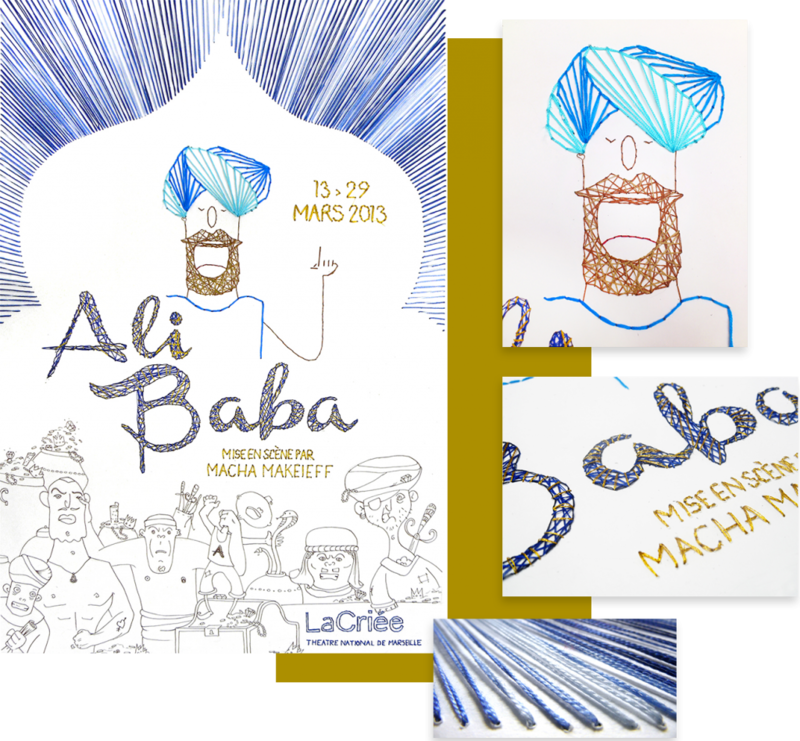 Handmade creation of a 40x60cm poster for the drama Ali Baba, directed by Macha Makeieiff, played at the National Theater of LaCriée in Marseille. Project co-directed with Ms Floriane Dupont. Creation of an abstract « Imagine » that is built « over time » by the interweaving of immaterial thoughts and the free wandering of the imagination. In other words, the representation of the imaginary: abstract, free and yet at the origin of many ideas. Maters and tools: one panel, nails, 3 balls of wool, fingers, and patience.